I have sworn by this simple salad all summer long and it's my go-to when it comes to my health, and above all beauty food. I love salads in the warmer weather. 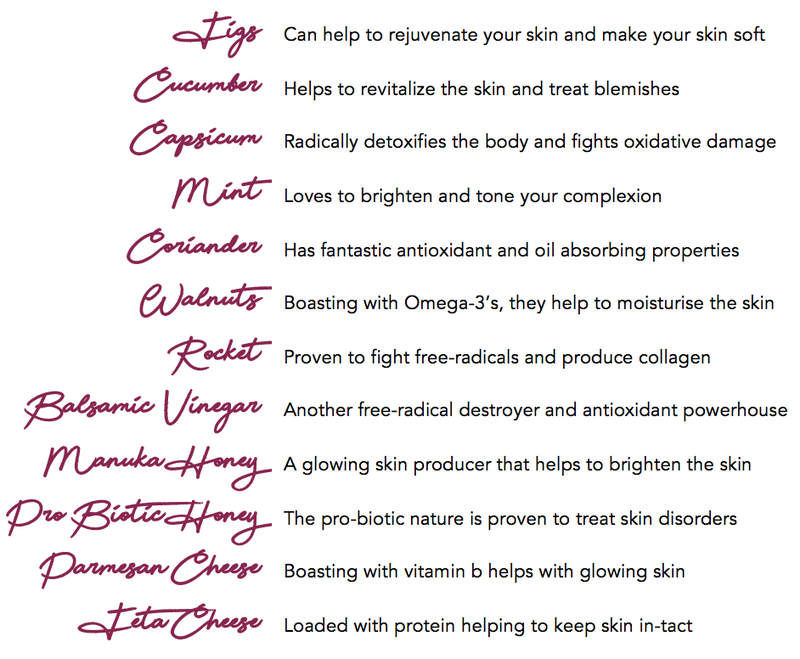 They are nourishing and cooling, and fantastic for your skin. Your skin needs more hydration during the hotter months due to a higher level of perspiration that occurs. It needs more vitamins and minerals as sun exposure can damage and deplete resources. Our skin is our most vital organ and we need to take a lot more care of it during a hotter period, especially given when heat waves arise. I discovered the many health benefits upon eating this salad on a daily basis. 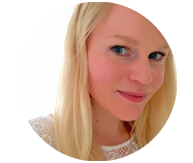 My skin glowed all summer long, it kept my vitamins in check and stabilised hormone levels. I discovered that I even had fewer cravings for sweets and fewer sugar dips. It's simple nature to put together meant I even had more time, which meant more time on Instagram and time to blog. Wash the figs, cucumber, capsicum, mint/coriander and rocket. Then dry them using a clean tea towel. Quarter the figs and add them to the salad bowl. Then dice the cucumber, capsicum, mint or coriander and rocket and add them to the salad bowl. Measure out the walnuts and add them to the bowl. Sprinkle in the parmesan or feta cheese. Then add the teaspoon of manuka or pro-biotic honey. Then toss the salad throughly, until all of the salad ingredients have be coated in the vinegar. Have with the salad... Either a steamed salmon fillet for extra skin benefits or if you are a vegan you might want to have falafels or just the salad on it's own. I have included the option of either having mint and/or coriander because you may or may not like either/or. Also, it can be optional for those with allergies or sensitivities to. Also, make sure you check with your doctor or gp if you have an allergy to any of these ingredients before consuming. Especially those with anti-inflammatory diseases or IBS. Make sure, you can consume Manuka or Pro-Biotic honey too! 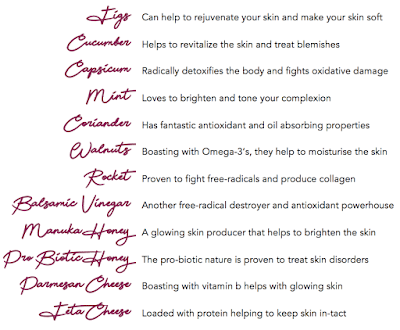 Here is a table of all of the skin benefits that you will receive from each ingredient!